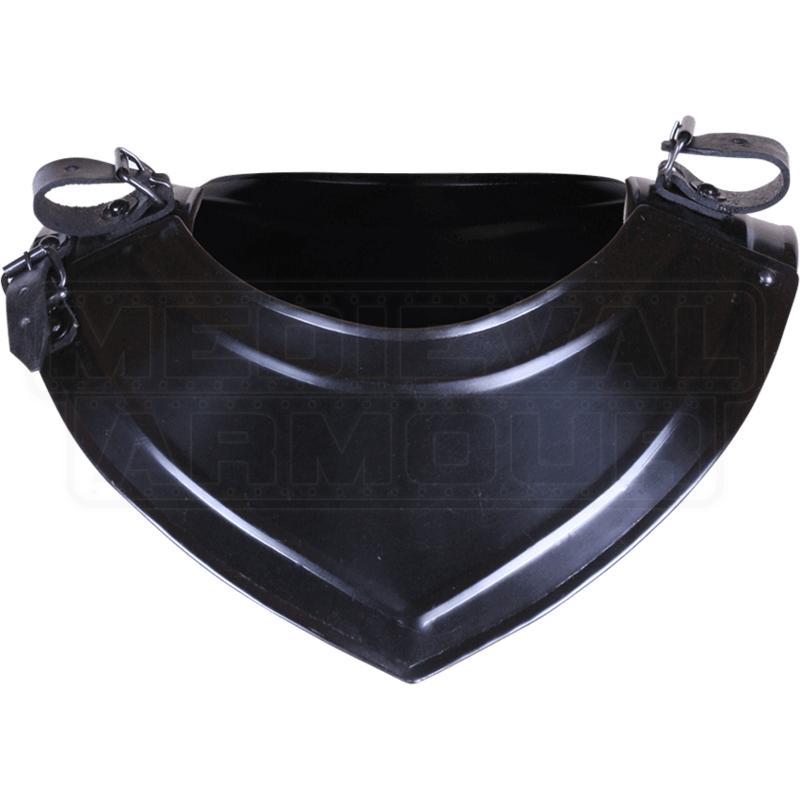 The Blackened Adam Gorget offers excellent protection to your neck with its sturdy construction. The Adam-style armour features stiff corrugated detailing along the outer rims, adding classic style and stability to the design. The steel gorget possesses a dark metal finish that will go with many other pieces of our LARP armour. In particular, the neck armour is designed to combine easily with the Large Blackened Adam Spaulders (MY100070) or Small Blackened Adam Spaulders (MY100072). Consider pairing this metal gorget with a padded mantle or other arming wear for increased comfort. The Adam armour line is made to suit LARPers with smaller builds and adolescent warriors.